As with anything we purchase, our cars become worn out overtime after years of use. There are so many car parts that can become worn and need replaced eventually. Unless you are fortunate enough to buy a car every few years then you have probably experienced some of this wear and tear on one of your own vehicles. Whether it is the brakes, the clutch or transmission, tires or even window wiper blades, they all will need replaced eventually on a car. One part of the car that you may not be too familiar with is the coil springs. If you are knowledgeable about cars then you may know what the coil springs are and why it may be necessary to replace them after so many years. For others who have never worked on a car before they may be surprised to learn that coil springs play an important role in the way their car drives. Coil springs are part of the car that helps absorb the pressures of the bumps on the road. They also carry the brunt of the weight that is on the inside of the car as well. The coil springs are large metal springs that are near the wheels and are one of the most commonly worn parts of a vehicle. Because you cannot help but to drive over bumps in the road or to haul weight in the car, the wear on the coil springs is inevitable. Often the rear coil springs may fail sooner if you are constantly carrying a lot of weight in the back of the car, although any of the coil springs can need replaced eventually. When your coil springs start becoming worn out you can usually tell because they are not absorbing the constant ups and downs on the road any longer. You will feel the bumps much more dramatically. Also the car will sit lower to the ground then it once did. This is because the tension in the springs is not longer there and cannot hold up the weight of the car very well. Some people know that there springs need to be replace by experiencing the unfortunate event of one breaking while they are driving down the road. If this happens you should stop driving the car immediately and have your car towed to the nearest mechanic. Driving with a broken coil spring is dangerous and can cause further damage to other parts of your car. If you choose to purchase and replace your own coil springs then know you should always replace two or four at a time. If one of the front one breaks then you should replace both front ones together to avoid the car from sitting uneven. The same rule applies for the rear coil springs as well. Once your new coil springs are put on you will notice that the car will sit higher than it last did. This is because it is once again sitting at the ride level it was meant to be at. You will also notice that you have a much smoother ride down the road. Your new coil springs will once again prevent the car from bouncing all over the place when you drive over a bump. Making sure to maintain all the car’s parts is crucial for keeping your car running and driving properly for many years to come. 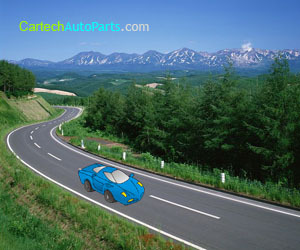 Although cars are a lot of work at times, it is well worth the extra effort and money to maintain your car. There is nothing worse than driving down the road and having something fail on your car. By having your car checked by a professional regularly you can prevent many of these problems from occurring in the future. I think my problem with my car is coil springs but not sure. I have a 96 ford explorer and when I'm backing up the rear makes this popping sound and it feels like I backed up into something. I've read around on the internet about car looking lower to ground but my car looks the same. I really need to know what you think so I don't get ripped off. Oh and about a week or so ago, I got into my car and it was crying when I held down the break the noise stopped. your advice would be greatly appreciated.